Gymnastics Injuries | Prevention, treatments, and the physiology behind common gymnastics injuries. This blog is designed to be a reference for coaches, athletes, and rehab professionals involved in the sport of gymnastics. The hope is that the information on it can prevent and shorten the length of injury in a sport where there is limited access to physical therapy and rehabilitation information. My name is Angie. 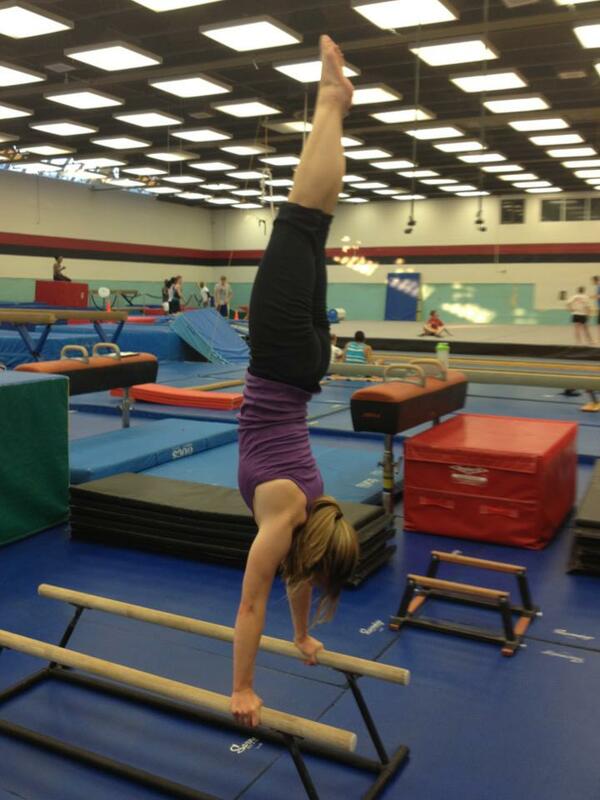 I’ve been involved in the sport of gymnastics for over 20 years. I’ve had my fair-share of injuries and chose my profession based on that experience. I am a licensed physical therapist with a doctoral degree and a certification in manual physical therapy. I have a certification in strength and conditioning and have an extensive background in strength and flexibility training. I have also coached over 17 years in the sport and across a wide variety of levels. I’m currently at the University of Maryland coaching their club exhibition team (Gymkana) and have been an instructor for the University of Maryland Kinesiology Department’s gymnastics, acrobatic, and tumbling classes. My passion for gymnastics and my knowledge of orthopedic injury and rehabilitation led me to start on this journey. My goal is to merge my gymnastics and coaching experience with my physical therapy knowledge. In the end, I hope to provide one of the most extensive databases on injury and rehab information relative to the sport of gymnastics. It’s a work in progress and will largely depend on what you want up here, so provide feedback and make requests. As with any “self-help” information, please use it at your own risk. While the information in these articles is designed to help with diagnosis and treatment, IT IS NOT intended as a substitution for true medical intervention. If any injury lingers and becomes a limiting factor in your daily life, seek professional medical attention as soon as possible!